The Never Say Never Foundation was founded by Nick Stilwell and Regas Woods in 2010, after meeting at Nick’s first prosthetic fitting. Regas became an amputee at 2 years old and Nick was 25 when he lost his legs. They bonded over a desire to help other amputees live life to the fullest. They had a vision to help children and young adults with challenges in their lives to overcome adversity with a positive attitude and to understand that you can do anything you want if you put your mind to it. In the past six years, Nick and Regas have built Never Say Never into a respected foundation that helps kids and athletes strive to reach their full potential and put on one of the most sought after, fully funded, adaptive sporting camps in the United States. Our vision is to help children and young adults with challenges in their lives to overcome adversity with a positive attitude and to understand that you can do anything you want if you put your mind to it. Our mission is to sponsor disabled athletes in a multitude of sports, including extreme sports and to seek funding to allow youth and young adults with disabilities to attend camps, sporting events and to get the prosthetics or other tools they need to thrive. 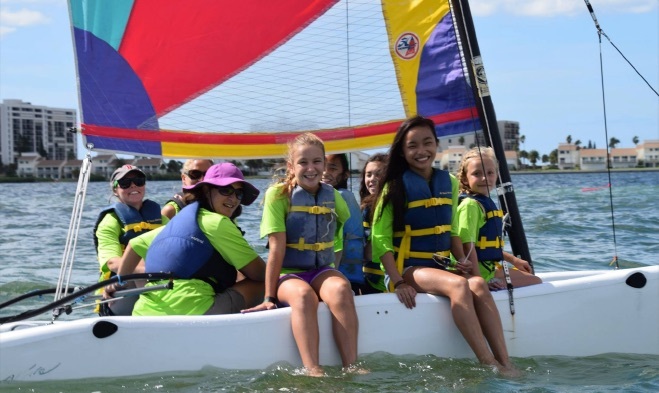 Every October, Never Say Never hosts an adaptive sailing camp (Pirate Camp) in Clearwater, Florida. Families are invited to bring all members of their family for a weekend of fun in the sun on one of the most beautiful beaches in the world. This camp gives limb-different children an opportunity to try activities they may have never imagined that they can do and gives their parents and siblings an opportunity to see them and others like them succeed, all while working and playing together. This camp is put on at no cost to the families, all funds are raised by Never Say Never throughout the year. 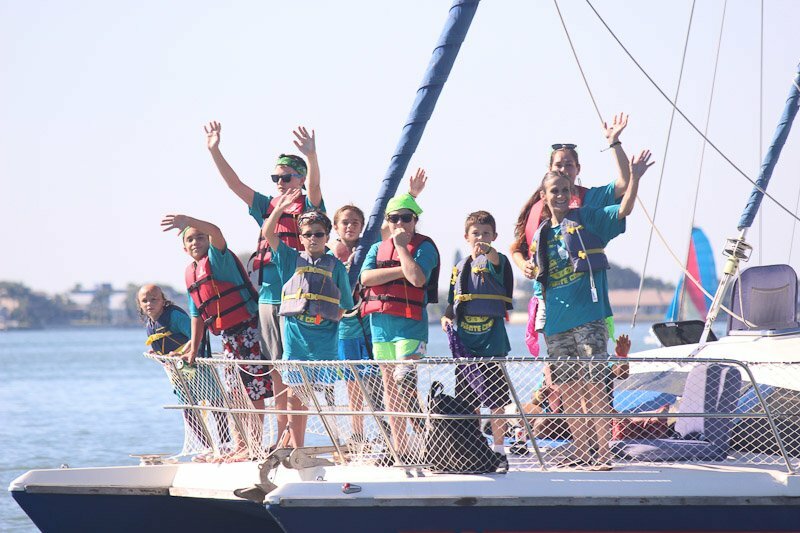 Pirate camp has grown from hosting 14 families in it’s first year, to 40 families attending the 5th camp in 2016. The Never Say Never Foundation has given away more than 60 running blades since it’s inception in 2010. We’re not just about running blades, we have also provided our athletes with specialty feet, knees and wheelchairs over the past six years. Pirate Camp is fully funded by Never Say Never’s Fundraising Team, therefore all families attend at no cost. My son is a seven year old below knee amputee and had never had the chance to be around other amputee children until we were granted the opportunity to attend Pirate Camp. I knew that Pirate Camp would be a great experience for him, but I had no idea how great it would be for our entire family. Over the course of the camp we met the most amazing people! The other children at camp were an inspiration to all of us, encouraging us to never set limits on our abilities. Getting to meet other parents and learn from what they have been through was a blessing for me. But, the camp founders and volunteers are what amazed me most. We attended our fist Annual Never Say Never Foundation Pirate Camp in 2015 and our lives were forever changed. It was a weekend full of fun activities and heartwarming moments with limb different mentors and families who relate to the same obstacles we face. NSN also graciously provided my son with a running blade, a key component he required to remain competitive on the baseball field with children with two natural legs. The Never Say Never Foundation and their mission is merely amazing and words will never be able to describe how grateful we are! Matt, Kelli and Gage B. Never Say Never Foundation is an amazing foundation. They have changed the lives of everyone in my family!! My daughter is an above knee amputee, and we have gone to Pirate Camp two years!! Not only did my daughter thrive there surrounded by peers like her with limb differences, but being surrounded by other parents in the same journey as us was amazing!! And my other 4 children have made lifelong friends there as well. Nick and Regas have been amazing support to me, my daughter and my family! They truly love children, and it’s clear with the support they give. We love NSN and am so blessed to be a part of this tribe! !